Happy and Blessed 5th Sunday of Lent! While at the beginning Lent can look long, it seems to fly by! We are already starting the 5th Sunday of Lent! Next Sunday is Palm/Passion Sunday and the beginning of Holy Week! 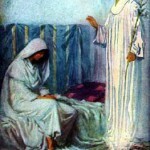 3rd week of Lent and the Annunciation! Wow the 3rd week of Lent already! of the house of David, and the virgin’s name was Mary. And the angel said to her in reply, “The Holy Spirit will come upon you, and the power of the Most High will overshadow you. Happy 2nd Sunday of Lent and Happy St. Patrick’s Day! Ps 27:1, 7-8, 8-9, 13-14. Hear, O LORD, the sound of my call; have pity on me, and answer me. Hide not your face from me; do not in anger repel your servant. You are my helper: cast me not off. but becoming fully awake, they saw his glory and the two men standing with him. Today is also St. Patrick’s Day. I think sometimes we get so caught up in the celebration that we forget what we are celebrating and why we are celebrating. The conversion of a nation to Christianity, the sending out a lot of missionaries. This was thanks to St. Patrick. He teaches us to use common things to explain a mystery. A 3 leaf clover for example to explain the Holy Trinity. 3 leaves 1 clover; 3 persons 1 God. Welcome to the 1st Sunday of Lent! How is your Lent so far? Mine is challenging to say the least, but I keep going for the Easter Season! I’m doing Psalms this time so here is the Responsorial Psalm for the 1st Sunday of Lent along with the Gospel! When we read both we see the connection! Ps 91:1-2, 10-11, 12-13, 14-15. He ate nothing during those days, and when they were over he was hungry. for it has been handed over to me, and I may give it to whomever I wish. Temptations! They are always trouble! Just as Jesus was tempted and triumphed over the devil, we too are tempted. We too can resist temptation with the help of the Sacraments, Mother Mary and the Saints! Sometimes we don’t like to admit that we are tempted, because then we have to admit that we sin. In times of temptation it is always a good thing to know and recall scripture and to call upon our Lord and His Mother to help us as they too triumphed over temptation. I’ve heard some people say “Jesus was the God Man and Mary didn’t have Original Sin, so of course they withstood temptation. Let’s not forget that Adam and Eve and all the Angels in heaven also were created without Original Sin. Due to Adam and Eve we have Original Sin and the need for Sacraments! The Angels while not human, were all good to begin with, and according to scripture 1/3 of them fell from God’s grace. (Rev. 12:4) The Saints were all born with Original Sin and they are proof that we can make it too! When you are hungry, satisfy your hunger with the Word of God and Prayer! I love how this psalm reminds us that we are sinners and need to be cleansed! That we need to have a contrite heart and seek forgiveness on a regular basis. In our Lenten journey, let us work on not following the ways of the wicked. Let us work on being the man who is Blessed, one who can be followed, who can introduce others to our Lord and Savior Jesus Christ. 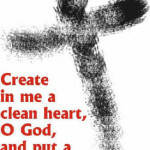 Ash Wednesday the beginning of Lent! Today it is 40 days after Christmas! Today we celebrate the Feast of the Presentation of Jesus in the Temple, Candlemass; World day of Consecrated Life. 22And when the time came for their purification according to the law of Moses, they brought him up to Jerusalem to present him to the Lord 23(as it is written in the law of the Lord, “Every male that opens the womb shall be called holy to the Lord”) 24and to offer a sacrifice according to what is said in the law of the Lord, “a pair of turtledoves, or two young pigeons.” 25Now there was a man in Jerusalem, whose name was Simeon, and this man was righteous and devout, looking for the consolation of Israel, and the Holy Spirit was upon him. 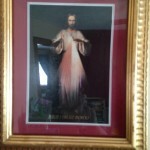 26And it had been revealed to him by the Holy Spirit that he should not see death before he had seen the Lord’s Christ. 27And inspired by the Spirit he came into the temple; and when the parents brought in the child Jesus, to do for him according to the custom of the law, 28he took him up in his arms and blessed God and said, 29″Lord, now lettest thou thy servant depart in peace, according to thy word; 30for mine eyes have seen thy salvation 31which thou hast prepared in the presence of all peoples, 32a light for revelation to the Gentiles, and for glory to thy people Israel.” 33And his father and his mother marveled at what was said about him; 34and Simeon blessed them and said to Mary his mother, “Behold, this child is set for the fall and rising of many in Israel, and for a sign that is spoken against 35(and a sword will pierce through your own soul also), that thoughts out of many hearts may be revealed.” 36And there was a prophetess, Anna, the daughter of Phan’u-el, of the tribe of Asher; she was of a great age, having lived with her husband seven years from her virginity, 37and as a widow till she was eighty-four. She did not depart from the temple, worshiping with fasting and prayer night and day. 38And coming up at that very hour she gave thanks to God, and spoke of him to all who were looking for the redemption of Jerusalem. 39And when they had performed everything according to the law of the Lord, they returned into Galilee, to their own city, Nazareth. 40And the child grew and became strong, filled with wisdom; and the favor of God was upon him. A very Merry Christmas! Happy Birthday Jesus! I have always loved this Solemnity and I have great memories of it throughout the years! While we put up the tree and my dad loved to play Santa Clause whenever needed at a church function; Midnight Mass was the main attraction! And yes I do remember Midnight Mass as a child, Immaculate Conception in Omaha being the ones I remember best even though the last one I attended there were 1976 at age 7. In my teen years I was organist at Christmas Eve and Midnight Mass at St. Jude’s and St. Elizabeth’s in Florida. Of course last night at St. Mary’s Cathedral in GI was also memorable. For most of the children in the home who have never celebrated Christmas with us, it is a new experience. It can also be a sad and emotional time, if separated from siblings or this being the first time away from family at Christmas. Sometimes Christmas wasn’t pleasant. I always pray that the baby Jesus bring them healing, peace and joy on His birthday and throughout the Christmas Season! Christmas Eve Mass is new to them and we do pictures by the Creche and trees in Church after Mass. I go back for Midnight Mass while my mom and the children sleep! Christmas day we stay home and relax and build positive memories. Stockings are at each persons place at the table and those are explored first! Then over to the Christmas Tree where there are presents for everyone, pets included! Then Christmas Breakfast and I work on Christmas dinner while the children enjoy their new toys! Usually play outside sometime and close the day with a light supper and 1 decade of the 3rd Joyful Mystery! Of course there is birthday cake for dessert! Yes, we do teach the children how to properly use breakable dishes! This doesn’t stifle the children, but is a tangible way for them to learn that there are things that are special and we use special dishes for those special meals! Helps to reinforce that they are special and need to be treated with care and respect; as well taking care of our things and the things around us; as they are gifted to our use by the Trinity! I love the image of going to Bethlehem and seeing baby Jesus in the manger with Mary and Joseph, the animals, shepherds and angels! I always nice to imagine getting to hold baby Jesus! May the Christ Child bless you and your family this Christmas Season! 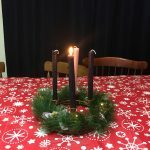 The beginning of Advent is the beginning of the Church Year! So Happy New Year as well! We started our Jesse Tree a few days early this year, being that the 4th week of Advent is so short. I ‘ve learned that the children in the home don’t do so well with doing 7 bible stories and coloring 7 ornaments in 2 days. This way once we get to the 4th week of Advent we should be at about the right place to finish up on time. On Christmas Eve our Jesse Tree becomes a second Christmas Tree. I will raise up for David a just shoot ; he shall do what is right and just in the land. and the anxieties of daily life, and that day catch you by surprise like a trap. St. Francis Xavier, St. John Damascene, St. Peter Chrysologus, St. Nicholas, The Immaculate Conception! We have already watched the DVD on St. Nicholas and will put up stockings for Dec. 6th rather than shoes.